Make sure to pack your lucky coin and get ready to gamble the night away in one of the many Missouri casinos. The casinos in MO create a great atmosphere with live music for a perfect night of fun.With a variety of slot machines and table games you'll never want to leave! The River City Casino and Hotel in St Louis, MO will provide you with anything you need to spend a fun night out while you are in town. The casino features a Poker Room with 14 Poker Tables that open every day at 10 am, a table games room with 55 table games and more. When you want a break from playing, go to the restaurant for drinks and snacks. 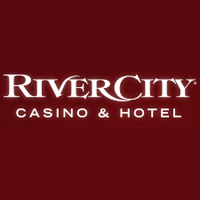 The River City Casino and Hotel is one of the most popular casinos in Missouri. Isle of Capri Hotel and Casino is located in Boonville, MO and the casino brings everything a person who likes to play could want. The casino is expanded over a 28,000 square foot area and includes numerous slots and play tables. The casino is conveniently located right between Kansas City and St Louis, making it easy for residents of both cities to visit. 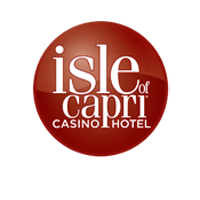 Isle of Capri Hotel and Casino is open daily from 10 am and until 5 am. If you visit the Riverside close to Kansas City, MO remember to check out the Argosy Casino Hotel & Spa. The casino includes 1,500 slots and all the favorite games plus the newest ones released. If you want to try out bigger stakes head over to the High Limit for a night of fun. Table games are also available and feature blackjack, roulette and many other favorites. The casino is open 24 hours a day, every day. If you visit St Louis, MO spend a night out at a casino. A great place to play poker at is the Hollywood Casino, a casino visited by tourists from all over the world. The casino features all the popular games and is open from 8am to 5am during the week and non-stop on weekends. The Hollywood Casino has a total of 455 rooms and offers special discounts to residents as well as larger groups. The Lumiere Place Casino Resort in St Louis, MO is both a reputable casino and a hotel for people who visit from outside the city. The casino operates all day, every day with the exception of Wednesday and features the newest games as well as old favorites, a high room and table gaming. 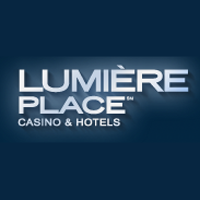 The Lumiere Casino includes video poker and over 2000 slots for everyone to enjoy. The poker room features 13 tables and flat screen TVs. 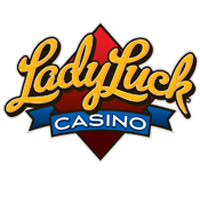 Lady Luck is a casino located in Caruthersville, MO. The large casino is spread over a 21,400 square foot area and became popular thanks to the numerous games and promotions it offers. Lady Luck allows you to play the most popular table games like blackjack or baccarat, feel the thrill of poker games or simply chill out and eat at the chic and cozy restaurant. The casino includes a hotel and the parking is free. 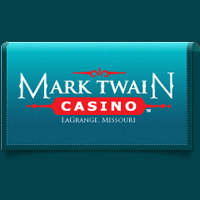 Spend a night out away from the city and visit the Mark Twain Casino in the city of La Grange, MO. The casino is completed by a cozy hotel you can rest at after you play the night away. The Mark Twain Casino is equipped with over 600 slot machines, video poker, table games and more. The slot floor was completely redesigned recently and lets you experience a real adventure on a weekend getaway. 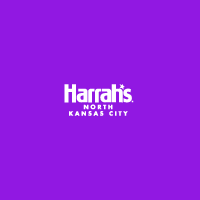 Harrah's Casino is North of Kansas City, MO and includes everything a poker loving person needs, along with a hotel and restaurant to spend the night at and eat. The casino features over 1500 slots and a poker room where tournaments and promotions take place. Both beginners and professional players will love spending time here while winning prizes and money. Poker tournaments happen every day and special offers are available on Friday and Saturday night. 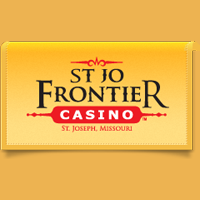 You will not have experienced a real night of thrill and fun until you check out the Terrible's St. Jo Frontier Casino in St Joseph, MO. The famous casino offers 3 different restaurants with various dishes and snacks and is located over an 18,000 square feet area. The Terrible's St. Jo Frontier Casino features slots, roulette, blackjack, video poker and much more in a friendly but explosive atmosphere. The casino is open daily from 8am up to 1:30 am. The casino at the Ameristar hotel in Kansas City, MO claims to be one of the biggest in the nation. This casino comes equipped with 2500 slot and poker machines, 57 table games and a really large room for live poker. The popular casino features 142 rooms for everyone that visits, along with the most popular and new games. 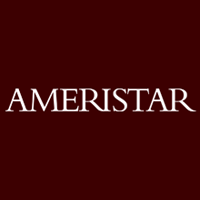 The Ameristar casino can be visited every day and is open all night long.